unruly things | mmm….west elm. it’s so nice to start thinking about buying new things. on my list are a bed, couch, and desk. I’ve been drooling over west elm’s new furniture and awesome sales for the past couple of days. 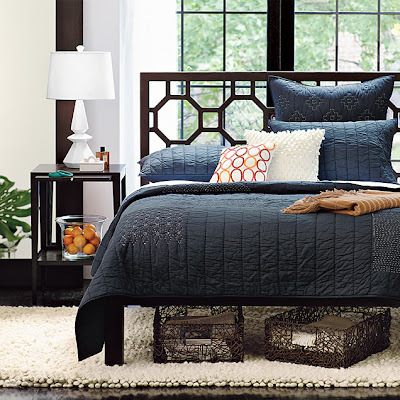 I’m in love with this bed, rug, quilt, pillows, lamp, baskets….yea, pretty much this whole photo. be sure to check out their great sale right now. lots of furniture, bedding, and accessories!